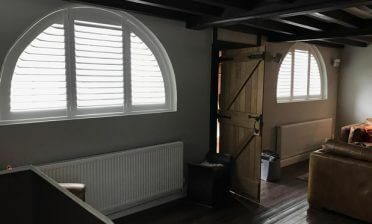 Tom was in Gravesend, Kent to install some of our shutters for a client’s property. 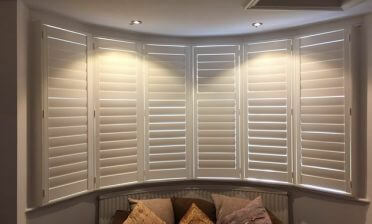 On discussing the options with our client and showing all the styles and designs that we offer, they picked to have some tier on tier shutters finished in pure white. There were a few reasons behind these choices. 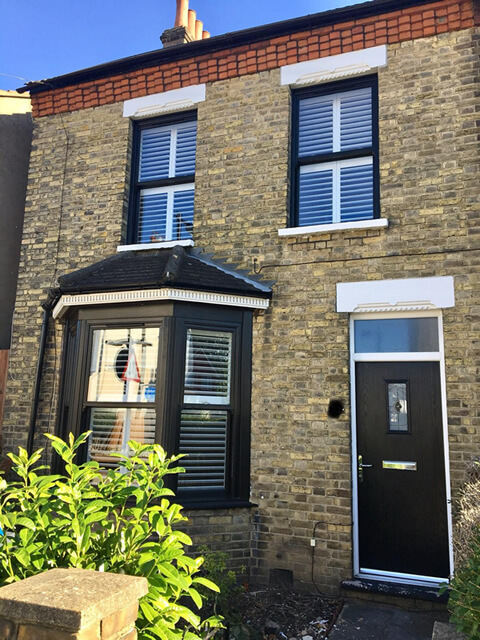 Firstly the tier on tier shutters could be perfectly designed so that the split would match with the lines half way in the windows. They are also our most versatile shutters allowing multiple options for opening, closing and adjustment, a favourite amongst our customers! The pure white was picked out to pop against the black sash windows frames which were currently at the property. As you can see from the picture, they really contrast against the black frames creating the look that the client was after. 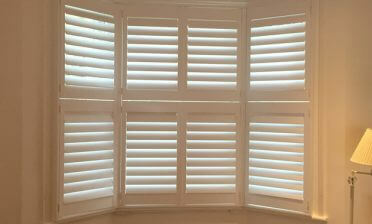 The shutters feature 64mm louvres with a hidden tilt rod system allowing for the shutters to be adjusted without the need for visible rods. This creates a more minimalistic and modern feel which the client was aiming for.